Program Director, Special Initiatives, IBM Research - India . Recently served as Chief Scientist IBM Research - Australia , Melbourne, VIC, Australia. Many thanks to friends from led20.com for hosting this site! Brief Bio: Shivkumar Kalyanaraman serves as Program Director, Special Initiatives, IBM Research - India, Bangalore responsible for transformative innovation in renewables (esp solar), energy storage and electrified transportation. Till recently he was the Chief Scientist, IBM Research - Australia, Melbourne, Australia. Previously, he was Senior Manager of the Next Gen Systems & Smarter Planet Solutions Department, and Senior Researcher at IBM India Research Labs Bangalore; and earlier served as manager of the Next Generation Telecom Research group and a Research Staff Member since 2008. Prior to joining IBM, he was a Professor at the Department of Electrical, Computer and Systems Engineering at Rensselaer Polytechnic Institute inTroy, NY. He received a B.Tech degree in Computer Science from the Indian Institute of Technology, Madras, India in July 1993 followed by M.S. and Ph.D. degrees at the Ohio State University in 1994 and 1997 respectively. He also holds an Executive M.B.A. (EMBA) degree from Rensselaer Polytechnic Institute (2005). His current research in IBM is at the intersection of emerging wireless technologies and IBM middleware and systems technologies with applications to large-scale smarter planet problems (grids, traffic, finance etc). He was selected by MIT's Technology Review Magazine in 1999 as one of the top 100 young innovators for the new millenium. He served as the TPC Co-chair of IEEE INFOCOM 2008, and as the General co-chair of ACM SIGCOMM 2010 in New Delhi. 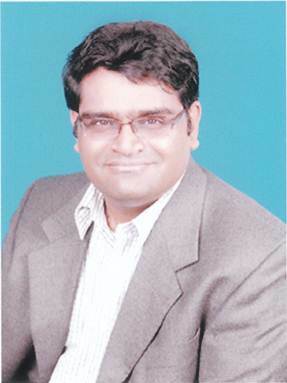 He has served on the editorial board of IEEE/ACM Transactions of Networking. He is a Fellow of IEEE and an ACM Distinguished Scientist, and recently named Fellow, Indian National Academy of Engineering (INAE). Outside of work, he is a author of a popular carnatic music education web site . After joining IBM Research in early 2008, Shiv helped establish and led world-class research teams on smarter planet technologies, networking and wireless topics at IBM Research - India. His team conducts research in high performance computing, emerging wireless technologies, IBM middleware, systems and data center networking with applications to large-scale, real-world smarter planet problems (energy, transportation, weather, flood modeling, natural resources (oil,gas,mining), agriculture etc). Shiv was integral part of the founding leadership team that established the joint research Centre between Universiti Brunei Darussalam and IBM (UBD | IBM Centre) in Brunei at the intersection of Smarter Planet modeling and High Performance Computing, including important objectives of joint research and human capacity development for Bruneians. Shiv serves as the Co-Director of the UBD | IBM Centre. Shiv one of the co-leads of the 2010 IBM Global technology outlook (GTO) on the Convergence of IT and Wireless Infrastructure. Since 2010, he has served as part of the global leadership team in the IT/Wireless Convergence initiative at IBM Research. At RPI, Shiv's work was primarily in the area of computer networking, concentrated around the theme of traffic management and high performance wireless networking. With his collaborators and students, he has made contributions to topics such as congestion control, reliability, connectionless traffic engineering, quality of service (QoS), last-mile community wireless networks, low-cost free-space-optical networks, automated network management using online simulation, multicast, multimedia networking (including peer-to-peer multimedia systems), and performance analysis. His special interest was in developing interdisciplinary connections between network architecture and fields like control theory, economics, scalable simulation technologies, video compression and optoelectronics. At RPI he was affiliated with the Networking Laboratory, Center for Pervasive Computing and Networking (CPCN), and the Center for Image Processing Research (CIPR) at ECSE. His former student colleagues (list dated). The team's external sponsors at RPI included DARPA-ITO , NSF , ARO, AT&T Labs Research , Intel Corp. (Research Council and IXA Program), MIT Lincoln Labs (AFOSR subcontract) , and WIMAX Forum . We have been funded in the past by IBM Corp. (IBM SUR Program) , Qwest Communications Inc. , Packeteer Inc. , Nortel Networks (University Research Program) , Reuters Inc. , and Pulsecom Inc . We also work closely with standards bodies like WIMAX Forum , IETF , the ATM Forum and several industrial friends including Cisco, Lucent, Nokia, Sprint, Starburst, Tellabs and Torrent (Ericsson).